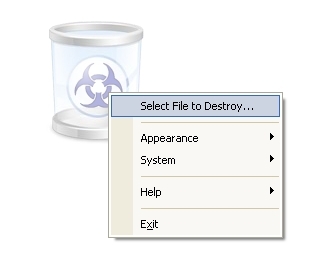 Technically, when files are deleted from the computer, they will be moved to the recycle bin temporarily unless users choose the option “to remove files immediately when deleted” or use the “Shift-Del” keys. Then the files will disappear from the recycle bin. If you think your sensitive files are erased permanently once you have emptied the recycle bin, then you are wrong. When the recycle bin is cleared, it doesn’t mean the contents are permanently removed. The system will temporary move the files, place them in a hidden folder, and rename the files. The files’ content will be stored in a hidden index file, INFO2. The files of course cannot be recovered via Windows OS but the contents will still remain on the drive. They can only be totally cleared until the section of the drive they occupy are overwritten by other files. If you have highly confidential and personal files which need to be deleted, it would be good to make use of some secure deletion programs such as Freeraser so that the files will be totally erased. Unlike other secure deletion tools, Freeraser is a free deletion application which allows users to opt for standard or portable/standalone installation. Users who occasionally bring along their pen drive to keep and transfer confidential files can choose to install the free program in their pen drive and take advantage of this application to remove the files permanently. This “Shredder” application will perform multiple data overwriting on your files before deleting from the system so that your sensitive and confidential information will be totally shredded and disappear completely. Users can download Freeraser via the link here. 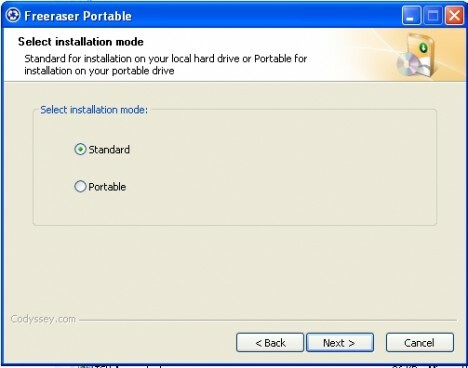 During the installation process, users will be prompted to select the installation mode: Standard or Portable. Once the installation process is completed, users will be able to see a temporary trash bin is placed on the desktop. Users can resize and adjust the transparency accordingly by right clicking the mouse to open the shortcut menu. To delete a file, users just need to drag the file to the trash bin. 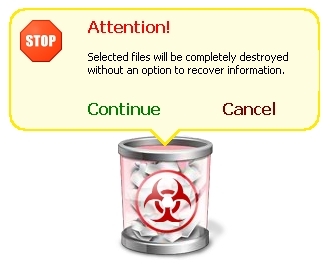 Users will be prompted with a warning notice that their files will be permanently deleted and their confirmation on whether they want to continue. Depending on how sensitive and confidential the data is, users are free to decide which destruction type they want to use.